The free education on offer in Fiji, including free bus fares to allow children easy access to education is something the Pacific Island is very proud of. 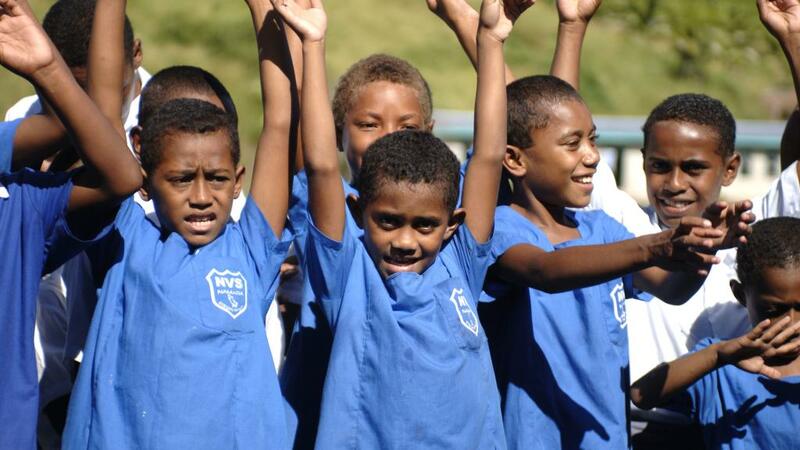 Setting an example that many other Pacific Island nations are attempting to follow, Fiji’s education system is even showcased through tourism opportunities with many Fiji tours including visits to villages and cultural tours spending some time at a local school. Deputy Prime Minister Reynders said he was especially impressed by how many schools there were with such capacity for free school for every child. While it may be an easier task on the mainland, achieving this on the outer islands is a huge challenge to manage – one which Fiji is still proud to have overcome. Of the 150 inhabited islands that make up Fiji, almost every island has a school and where children need to travel to another island to attend school, transport is provided for free. Speaking with Fijian Education Minister Dr Mahendra Reddy, Deputy Prime Minister Reynders learned that the Government had made huge investments in education, with 20 per cent of the national budget allocated to the education sector. While visiting Viseisei Primary School, Deputy Prime Minister Reynders handed over a $32,750 cheque to school management to help with rehabilitation after cyclone Winston. Reynders presented the funds on behalf of the citizens and businesses of Belgium.